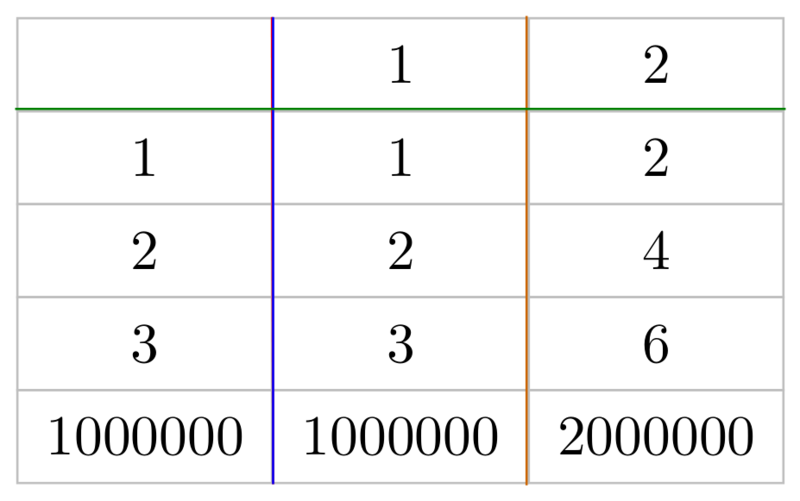 I am trying to draw a "table" in tikz, and more generally, to work it out so that it is easy to write a lot of them. The matrix library makes it a lot easier to place aligned nodes. The next step would be to be able to draw vertical and horizontal lines. 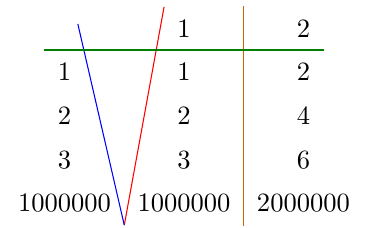 using nodes for the columns or rows, using the fit library as described in answers to this question (better than the previous, see the orange line, but still some problems if the row (resp column) is not as wide (resp high) as the matrix [see the green line]. It is worth noting that horizontal lines can be drawn with \hline (but it lacks the customizability of tikz paths). So the question: how to draw this kind of lines in a consistent way? I understand that it is possible to force the anchors to be aligned by specifying the height, depth and width of each cell. However, isn't that exactly what pgf did when drawing the matrix? 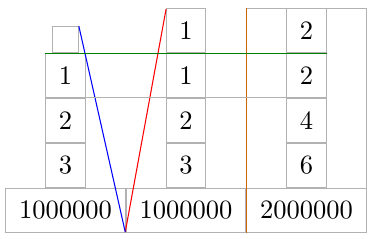 So the point of the question would be (if at all possible) to access this information (the position of the intersections of the bounding box of the matrix, and the limits of the areas between rows and columns), as computed by pgf, after the matrix is drawn. boxing a matrix column with tikzpicture, how to ensure sides don't bend around contents? to draw the blue line between the first and the second column. You can force all nodes in the matrix to have the same size using text height, text width, and text depth. Then adjust column sep and row sep so that nodes are more compact. Not the answer you're looking for? 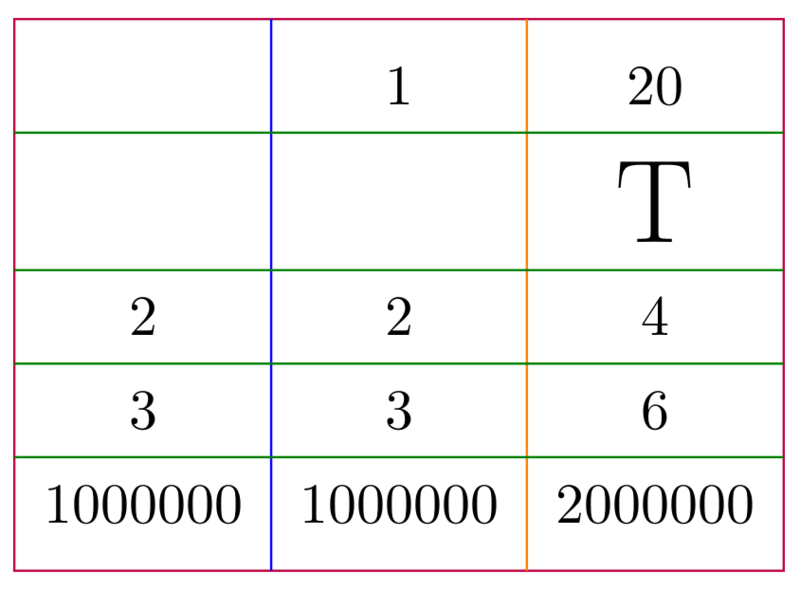 Browse other questions tagged tikz-pgf tables tikz-matrix or ask your own question. 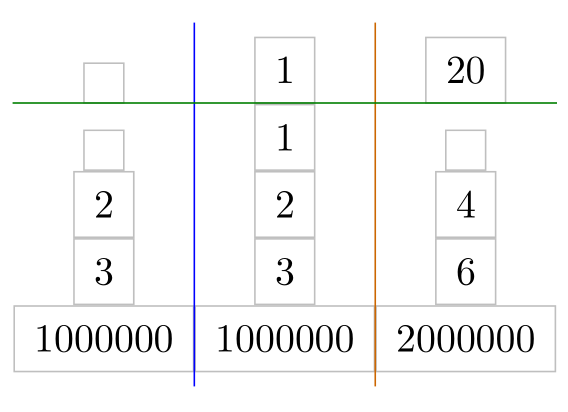 How to draw uniform rectangle in a matrix of math nodes?